Cancelation Policy : Cancellation Policy: If cancelled up to 1 day before the date of arrival, no fee will be charged. If cancelled later or in case of no-show, the first night will be charged. Children and Extra Bed Policy: All children are welcome. All children under 12 years stay free of charge when using existing bedding. All children under 2 years stay free of charge for cots. All older children or adults are charged EUR 125.00 per night and person for extra beds. Maximum capacity of extra beds/babycots in a room is 1. Deposit Policy: No deposit will be charged. VAT and city/tourist taxes: VAT is included. Service charge is included. City/tourist tax is included. Internet: Wireless internet is available in public areas only and costs EUR 15.00 per 24 hours . Wired internet is available in the business centre only and costs EUR 15.00 per 24 hours . Meal Plan: Continental breakfast is not included and cost EUR 32.00 per person. 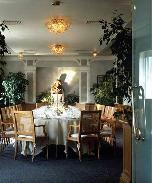 Buffet breakfast is not included and cost EUR 52.00 per person. Parking: No parking available. Pets: Pets are allowed on request. No extra charges. 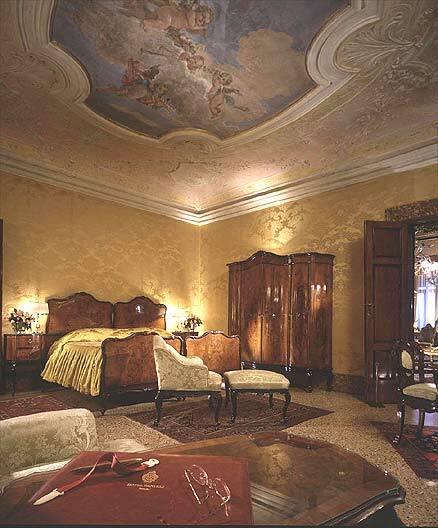 Short description : Synonymous with the splendour and romance of Venice, this skillfully-restored palace is just metres away from the Piazza San Marco, the famous Doge's Palace and the Bridge of Sighs. The hotel’s main building is the original 14th century palace of Doge Dandolo's family, a lavishly-appointed Venetian Gothic landmark. The glorious interiors are rivaled only by the captivating panoramic views from our rooftop restaurant, La Terrazza Danieli. 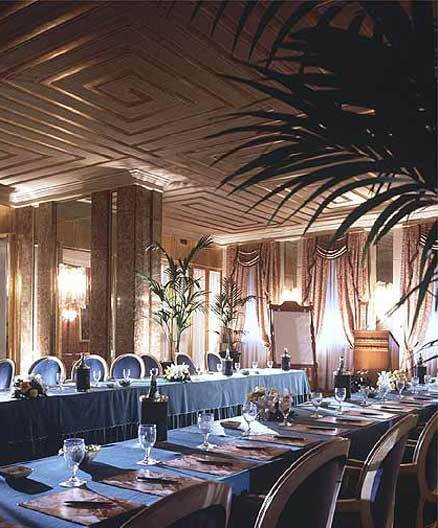 Room Information : Besides the ancient Dandolo Palace, the hotel today includes the Danielino: an impressive building situated at its right, and the Casa Nuova: a 19th century building, which has been completely restored, on the other side. Despite their differences, the 3 buildings, perfectly connected by covered bridges, create a particular atmosphere as they unite an evocative ambience, the result being a successful blending of the best in modern comfort and refined luxury. 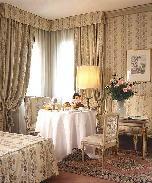 The 193 double rooms, 29 single rooms and 11 suites are equipped with all modern facilities. The 81 rooms in the 'Danielino' are all furnished in an empire style with walls in pastel shades such as pale pink, soft blue and yellow with framed stuccoes. Several non-smoking rooms are located in this building. 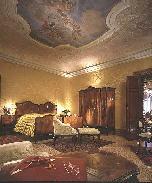 The ancient Dandolo Palace greets its guests in 91 rooms, each unique. 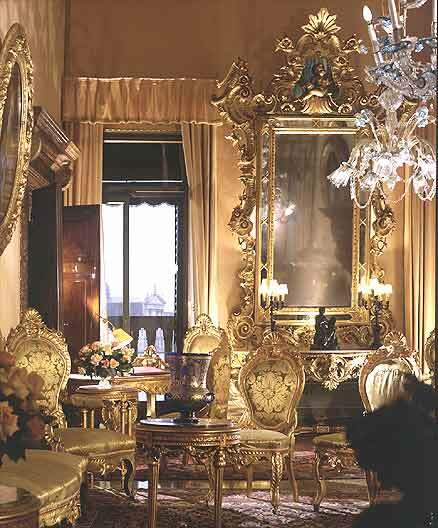 In fact all the rooms in this building are different as they are furnished with antique pieces, as if they were in a private palace. 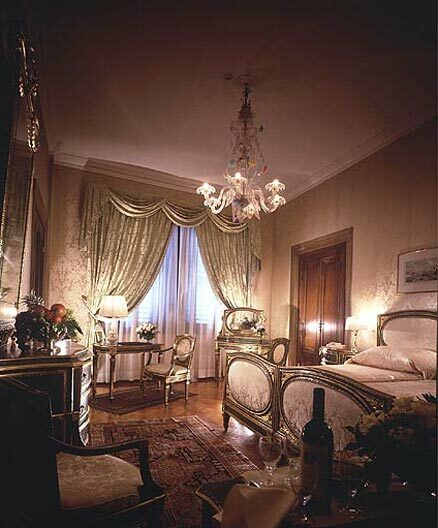 The Casa Nuova has 55 guest rooms, decorated in a Venetian style with lacquered furniture bordered in soft colours and tapestry embellished with blue and pink flowers. All bathrooms are in marble and recall the colours of the bedrooms. 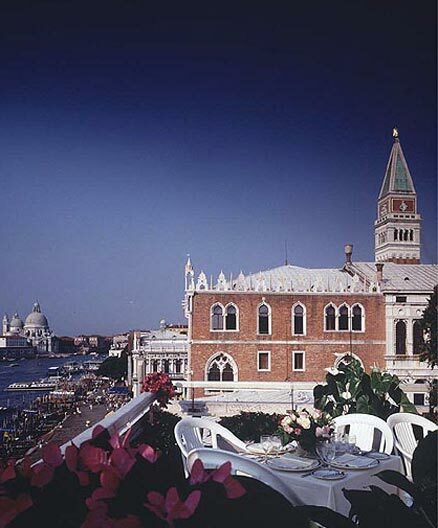 Food & Beverages : The top floor of the Danielino is completely dedicated to the restaurant, the Roof Garden 'Terrazza Danieli', with a wonderful view of the lagoon. While enjoying a Venetian dish or savouring a traditional Italian speciality, you can admire one of the most beautiful panoramas in Venice: the Church of Santa Maria della Salute by the architect B. Longhena, the island of San Giorgio with its Church by Palladio, the Giudecca and the Lido Island. It is possible to enjoy meals on the terrace from May or even earlier, weather permitting, until October, while during the rest of the year you can relax in the warm and elegant setting of the indoor restaurant, which still, thanks to its large windows, offers a breathtaking view. The Bar Dandolo, in the hall of the hotel, provides a charming setting with live music, where the most famous and classic drinks are served together with the specialities of the Barman Solindo Soncin. 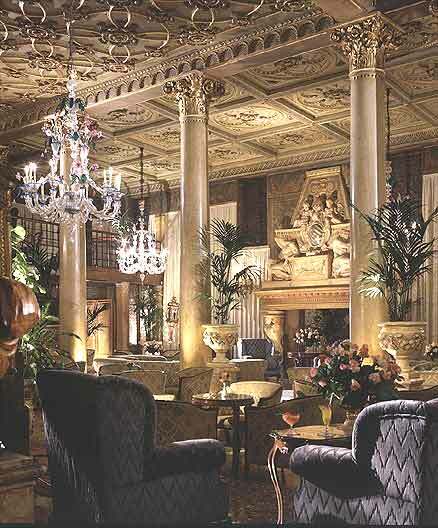 Here, informal snacks may also be enjoyed and a perfect English Afternoon Tea is served. 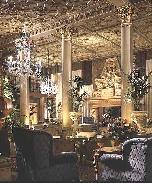 From June to September the Terrace Bar is open in the afternoon. Travel Information : By Car: From the A4 (Milan-West/Trieste-East) motorway, the A1 (Bologna-South) motorway and the A27 (Cortina-North) motorway: - Leave the motorways at Venezia and follow the state road signs to Venezia. 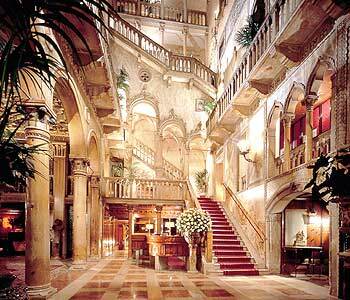 By Boat from the airport/port: - By water taxi, available 24-hours a day from the waterfront where the ship berths. Cash payment only. - By public transportation. 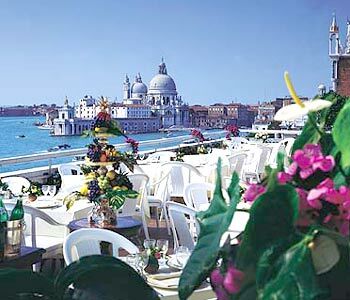 A boat service run by Alilaguna is available on a regular basis from the airport water pier to St. Mark's Square. Travel time is approximately 90 minutes. Cash payment only. 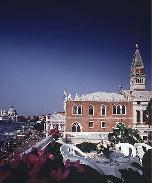 By Train: From Santa Lucia Train Station: - By water taxi - By public transport. Waterbuses (vaporettos) No. 1/ 41 / 51 or 82 with stop at San Zaccaria (St. Mark's Square). 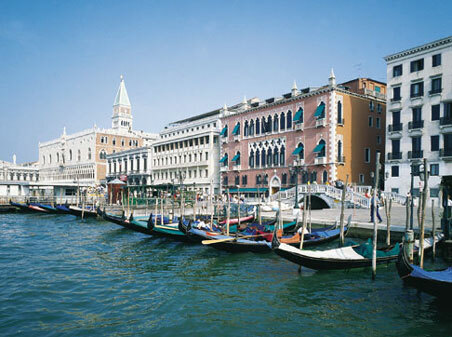 The Hotel Danieli is located directly opposite the vaporetto stop. Cash payment only. From Piazzale Roma: - By water taxi - By public transport. Waterbuses (vaporettos) No. 1/ 41 / 51 or 82 with stop at San Zaccaria (St. Mark's Square). The hotel organizes private transfers from the airport and from the train station, available 24-hours a day only through advance booking (minimum 48 hours) with hotel's concierge, The extra cost will be charged directly to hotel bill. Complete cruise ship, flight or train arrival information details are required. 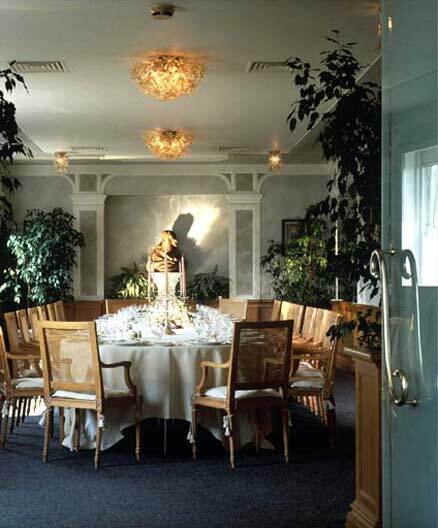 Hotel Information : The Hotel Danieli offers its guests 197 double rooms, 25 singles, 11 suites and Junior suites and meeting facilities for up to 120 persons. 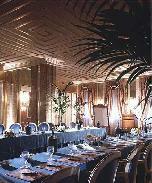 Its banqueting facilities can host up to 180 persons. 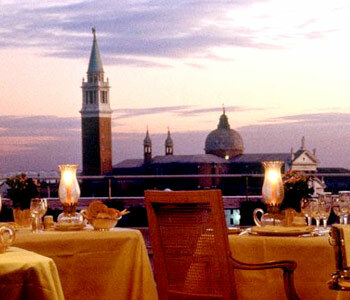 Named to Condé Nast Traveller's 2005 Gold List Reserve, the Hotel Danieli has been the luxury hotel preferred by discerning visitors to Venice for generations. Region Information : During the summer season, the famous private beaches of the Lido - along with tennis, golf and boating at the hotel's sister properties, The Westin Excelsior and Hotel des Bains - are just a complimentary boat ride away. Other nearby attractions include: The Grand Canal – 200 metres; Saint Mark's Square, the Doges Palace and Saint Mark's Basilica – 100 metres; The Guggenheim Museum – 800 metres; La Fenice Theatre – 500 metres.